We are revealing more information about our personal lives than ever before. Through social networking sites like Facebook and Twitter, many of us openly share private information about our everyday lives. So it is no surprise that cases of identity theft are rapidly increasing, with more and more people being caught out every year. But now, as reported by Mashable, these handy tips have emerged detailing how you can protect against identity theft online. 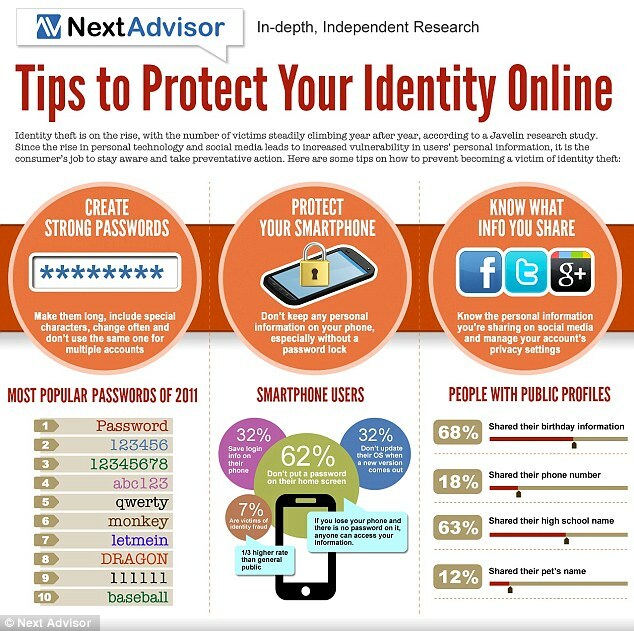 The graphic above, created by NextAdvisor, shows some of the tips which people can take to protect themselves. The main pieces of advice are that we should create strong passwords, protect smartphones and be careful about what information we share online. Showing how naive many of us are to identity theft, incredibly, 'password' is still one of the most popular passwords on the internet. 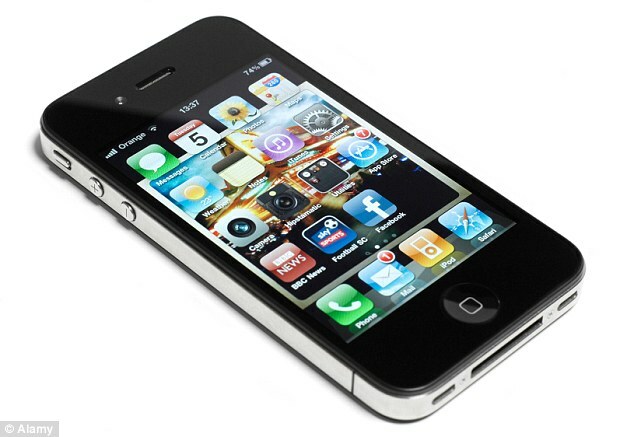 Many of us now use smartphones - from which we can access bank accounts and social networking sites - yet incredibly, 62 per cent of smartphone owners do not use a password which gains access to the device. This means people with smartphones have a third higher rate than the general public of being the victim of identity theft. The figures also reveal that 68 per cent of people with a public profile on social networking sites share their birthday information while 18 per cent share their phone number. 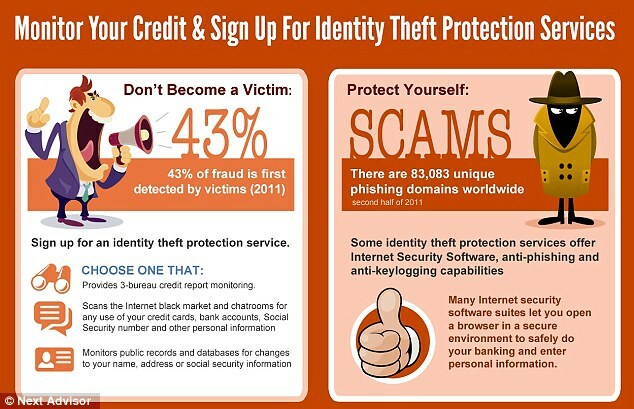 One of the main pieces of advice given by NextAdvisor is that people should sign up to an identity theft protection service and to regularly monitor your credit.